It’s been a while since these paintings were done but were created with a sense of nostalgia. Was really transfixed the first time that I saw the Smell Like Teen Spirit music video. It was so different and entertaining. Hooked on this new music called grunge. Later on bought a stereo system which had my first cd player. The first two cd’s that I bought were classic Queen and Pearl Jam. 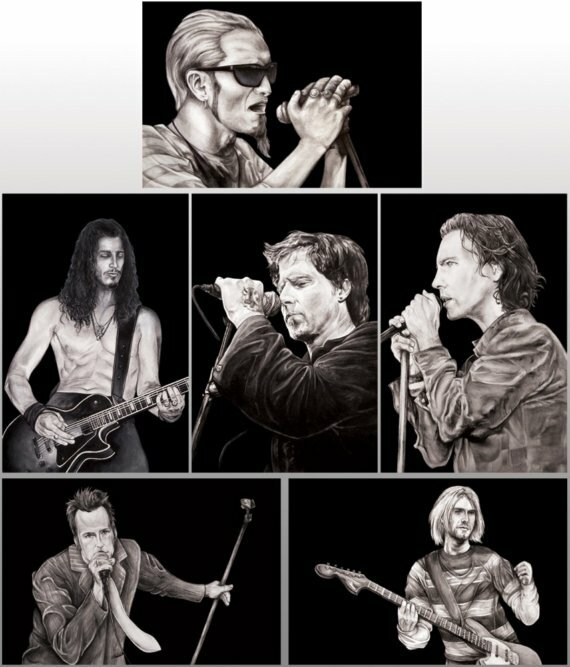 Pearl Jam became my favorite album and was obsessed with it. Later on got into the likes of Soundgarden, Screaming Trees, and Stone Temple Pilots. 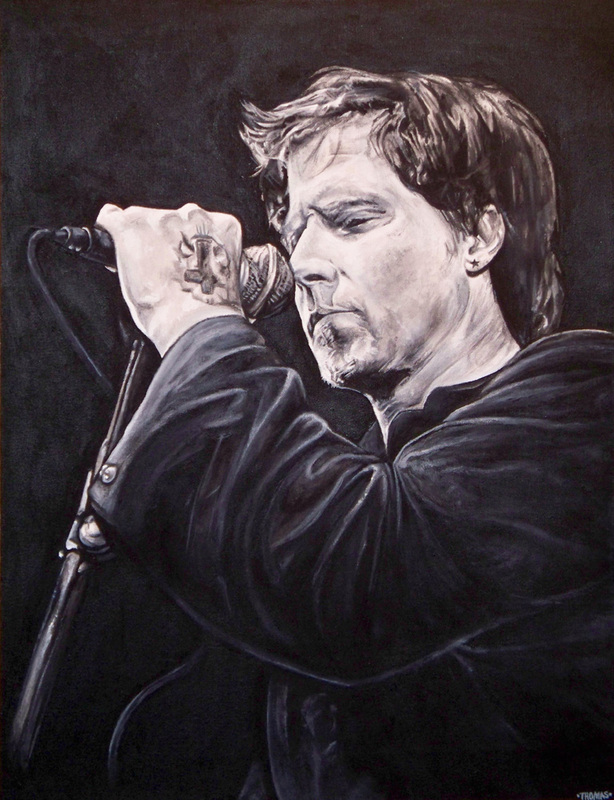 The first painting that was done was of Mark Lanegan. Mark Lanegan is my absolute favorite singer. 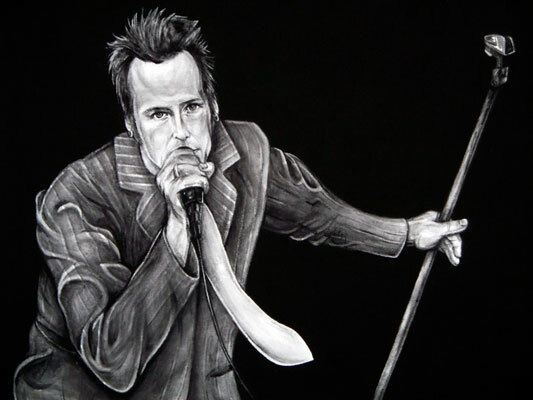 Enjoy his voice and haunting vocals. This happens to be my favorite painting as well. Ended up posting a pic of the painting on a blog and it sold instantly. 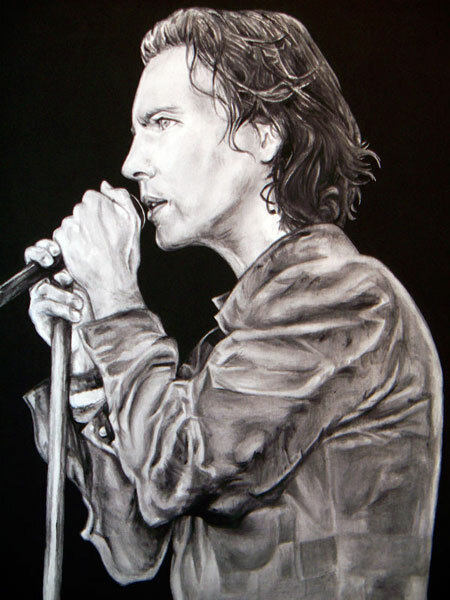 After that decided to do the Chris Cornell painting. 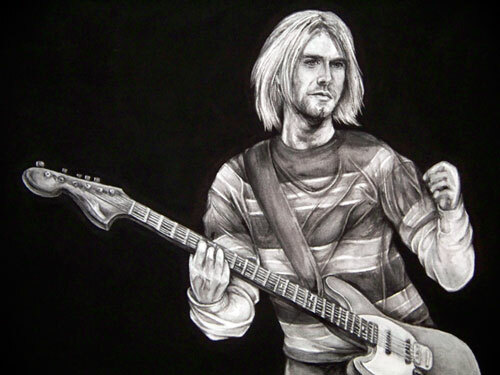 Later decided to just do a grunge series of paintings. 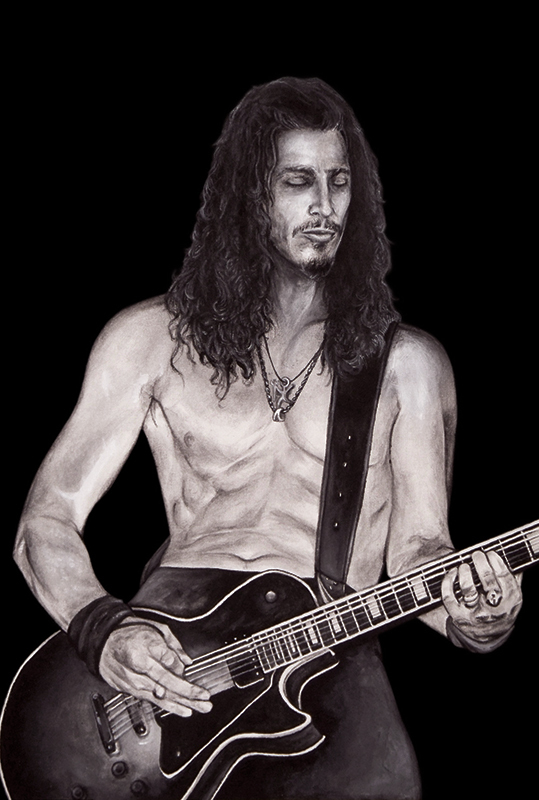 The paintings that were done after Chris Cornell were painted with only black paint on a white canvas. Only using black made for a better and higher quality painting. After all the paintings were done got them printed as postcards and are selling them as a set. The postcard set is of all 6 paintings. 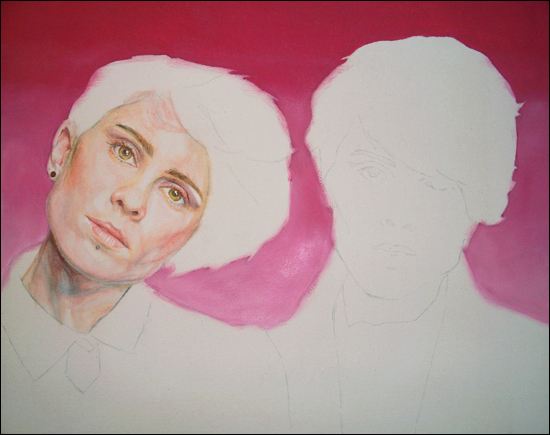 Here is the progress on the Tegan and Sara painting that I’m working on. The dimensions are 16 x 20 inches and it’s being done in acrylic paint. 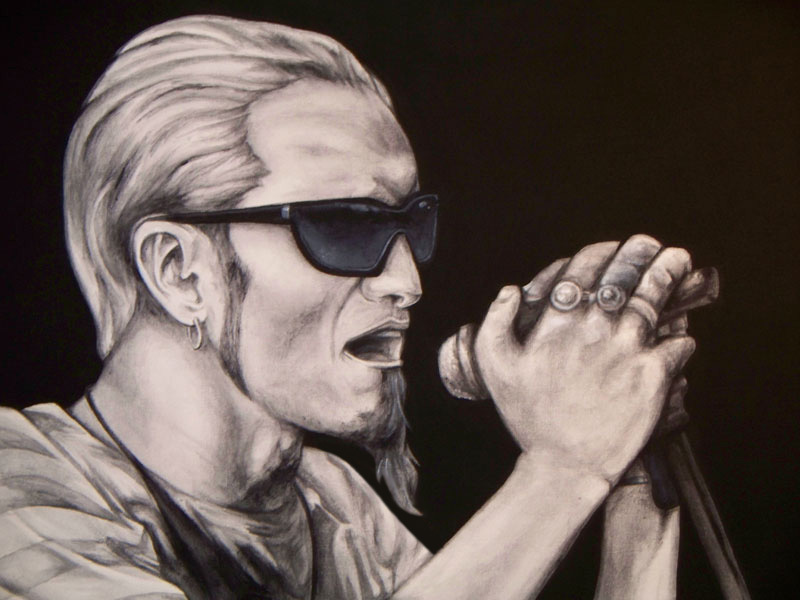 Haven’t listened to much of their music but they are identical twins and painting people is one of my favorite subjects. Got 3 paintings that I’m working on now and this is the one that I’m having a hard time pulling myself away from. 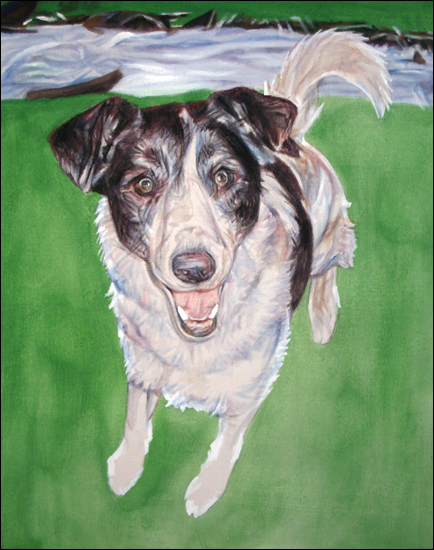 Here is some more progress on the dog portrait. Need to do more detailing on the grass and then the 2nd and 3rd layers of detail on the dog yet. Should have this finished early next week.